Carpet cleaning in St Pancras (WC1) from Magic London Carpet Cleaning changes an ugly look of carpets to shiny one. That way, they do not give unfavourable look to a trendy house or a reputed office in St Pancras of London. People may have tried different cleaning services which might have also resulted well but not with 100 percent. Magic London Carpet Cleaning in St Pancras (WC1) uses advanced technology that clears dust and stains but along with it has also given solution from the bacterial attacks. 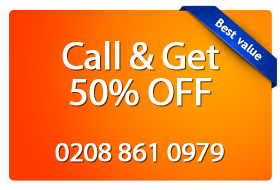 Magic London Carpet Cleaning is a company that provides cleaning services for mattress, curtains, rugs and many more. Its disinfectant cleaning has made it popular and from this it understood they not clean for money but also thinks to give a better life for their customers. This company has started its service for several years and now it has more than nine thousand customers all over London. Its strategic planning of cleaning has given customers a good life.